People usually wake up with the conscious or unconscious plan to be at their best and to achieve at their best. Nobody wakes up thinking "Today I want to be a failure". To be at one's best, be that in the business or the private world, requires a positive mental attitude. I am talking about our healthy default setting, our innate health. We are in that state when we are fully in the NOW. Our thoughts are not concerned with the tribulations of yesterday or the worries of tomorrow. Indeed, our thoughts are not concerned with much at all. The usually busy mind is quiet. That's the time when our thinking is the clearest, when wisdom and common sense can manifest and guide us. Our minds are undisturbed from the normal continuous mind-chatter, our fears, and our worries. In that state we feel secure and respond effortlessly to our environment. Imagine your are sitting under a sunshade in a little restaurant right at a lovely, inviting beach having breakfast. There are not many people around yet. Pristine golden sand stretches over several kilometres, beckoning you to take off your shoes and feel the sand under your feet. The early morning sun streams over the wide expanse of an almost flat sea. There is a little breeze gently caressing your face. A flock of seagulls fight for edible left-overs close to the water's edge. Besides their skirmishes it is utterly tranquil. The aroma of your coffee mixes with the salty, tangy smell of the beach. It is peaceful. You are peaceful. Thinking little or nothing at all, enjoying the warm sun. You are leaning back. Exhaling. Inhaling. Just Being. In that state of quiet mind your thoughts are clear and trustworthy! Only when your thinking is speeding up, racing, setting of feelings of stress, distress, or any number of negative feelings, it pays to be suspicious of our thoughts. We don't see clearly and need to find a way back to our default setting before we make any important decisions. Gudrun is a therapist, author, and life-long explorer of the mysteries of the human mind. Born on an idyllic fisher island in Germany, she lives now in New Zealand. 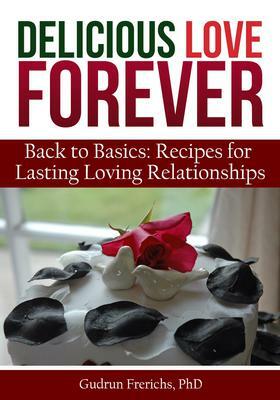 After 25 years of working in mental health and trauma recovery, she is retiring from clinical work and has published her first book 'Delicious Love Forever'. On her Blog she writes about the Three Principles of Mind, Thought, and Consciousness and their application in everyday life. 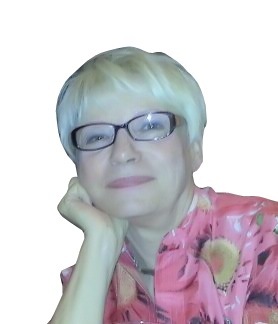 Gudrun has studied in Germany, New Zealand, and the United States and holds diplomas in Business Administration, Gestalt, and NLP, a Masters degree in psychotherapy, and a PhD in Health and Environmental Sciences. The need to love and be loved is in our DNA and yet many people struggle within their relationships. 'Delicious Love Forever' is filled with common sense, wisdom, and simple concepts based on the premises that we all create our own, personal reality through the 3 principles of Mind, Thought, and Consciousness. Following these, readers are encouraged to get in touch with their innate ability to create lasting, loving relationships. This is enhanced with some delicious recipes, and tackles at the same time the root cause for relationship problems. Solutions are offered people can easily try out for themselves. Indeed, a holistic 'meal' that feeds mind, body, and soul! Award winning author PaTrisha-Anne Todd writes inspiring books that motivate and guide you to create your own lifestyle by design and easy to follow steps to build a sustainable and profitable business. Visit her bookshelf - http://www.coachingleadstosuccess.com/Bookshelf.html and see which books you can add to your library. Thank you PaTrisha-Anne for inviting me to write an article for your blog. Writing can be such a solitudinous experience - so it's lovely to connect with like-minded writers. I hope your readers will find a useful tip here or there. I have great pleasure in publishing this helpful blog post written by my fellow colleague author Gudrun Frerichs living in New Zealand. Enjoy the mindful guided visualization and I encourage you to share your journey in the comments section.